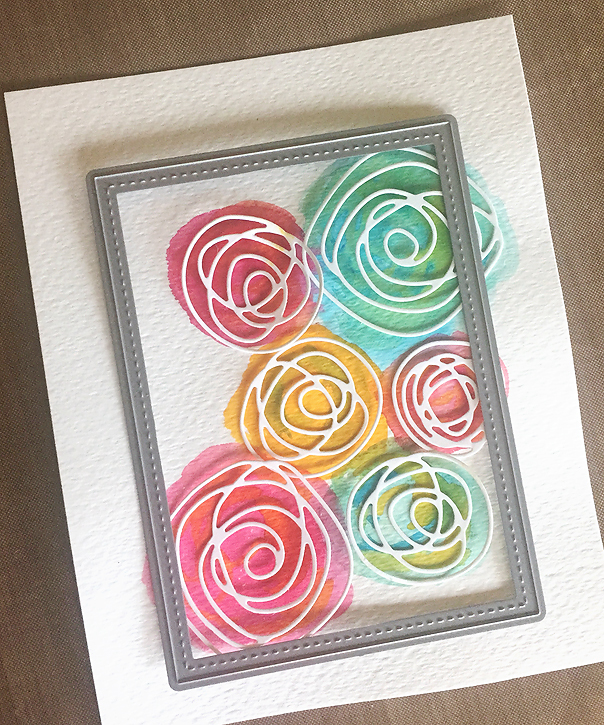 My focus with card making has been all about flowers lately, and I've especially enjoyed using My Favorite Things Circle Scribble Flower stamps and dies and the coordinating Scribbles dies. They are so pretty and so versatile! 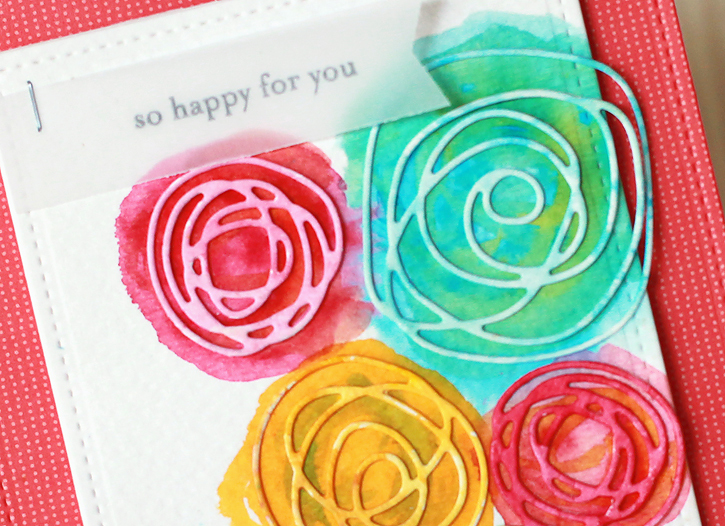 Today I'm sharing a card using only the die cut scribbles along with some watercoloring. Making this card was quite simple. I started with a piece of watercolor paper cut to about 5x7". I don't remember the exact size I started with, but I planned to cut it down to fit a card front once I finished the painting. I cut several shapes from the MFT scribbles dies out of white cardstock and arranged them on my paper. 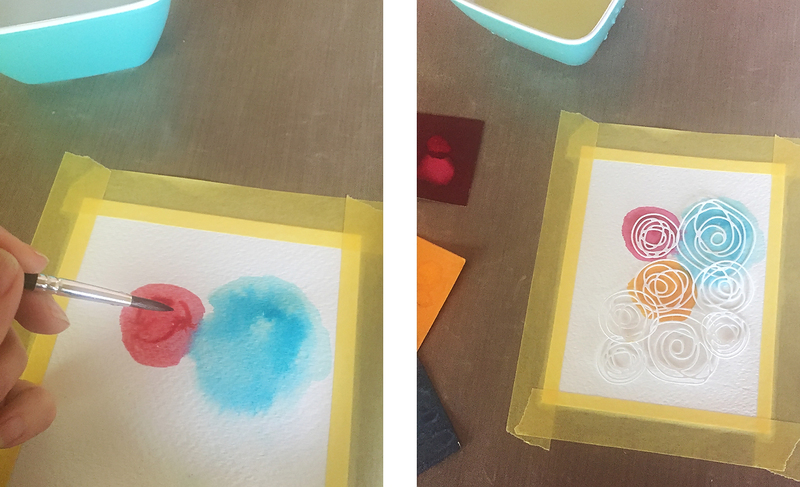 I removed the flower scribble shapes and used my watercolor papers to roughly paint circles in place of each one. I used my heat tool to dry the paint each time I added a new color to prevent bleeding. 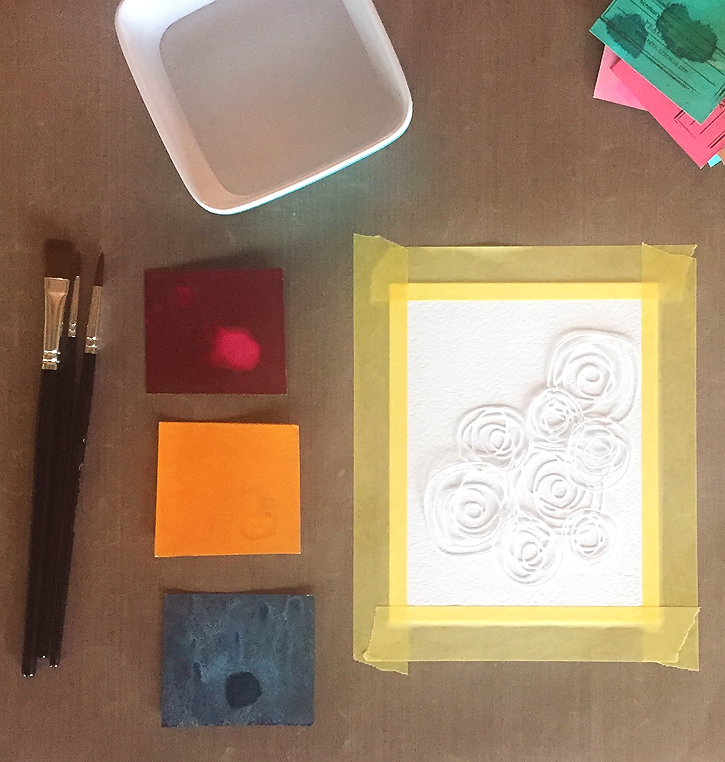 I used a stitched rectangle die to cut out the watercolor panel of painted flowers, and I decided at this point to paint each scribble shape to match the circles. I cut out an extra piece of watercolor paper with the stitched rectangle die and adhered the two pieces together so it would be extra thick. I cut out a larger stitched rectangle from patterned paper and adhered the watercolor panel with foam tape. The scribble shapes were adhered with liquid glue. The finished card is the standard A2 size. For the sentiment, I cut a banner shape out of vellum and stamped a sentiment from the Simon Says Stamp Favorite Flowers stamp set with Color Theory Clean Slate ink. I attached the vellum piece with my tiny attacher. That's it for today's card, and I must say it was a lot of fun to make! I really should use my watercolors more often. I'm joining the Simon Monday Challenge today where the theme is middle. Check it out for lots of wonderful inspiration! To see more cards I've made with the MFT Circle Scribble stamps and dies, check out my blog posts here and here. 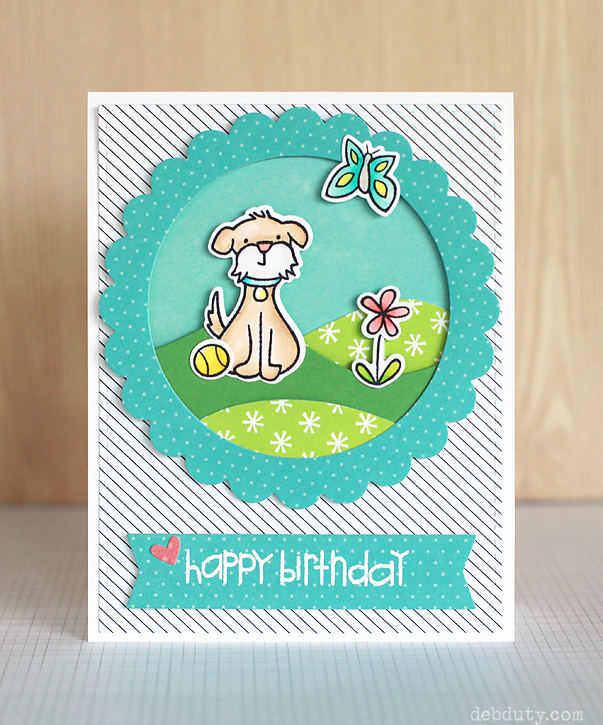 Today I have a card to share featuring the adorable Lawn Fawn Critters in the Burbs stamp set. I love the little dog, and how cute is it that the set includes a tennis ball for him?! 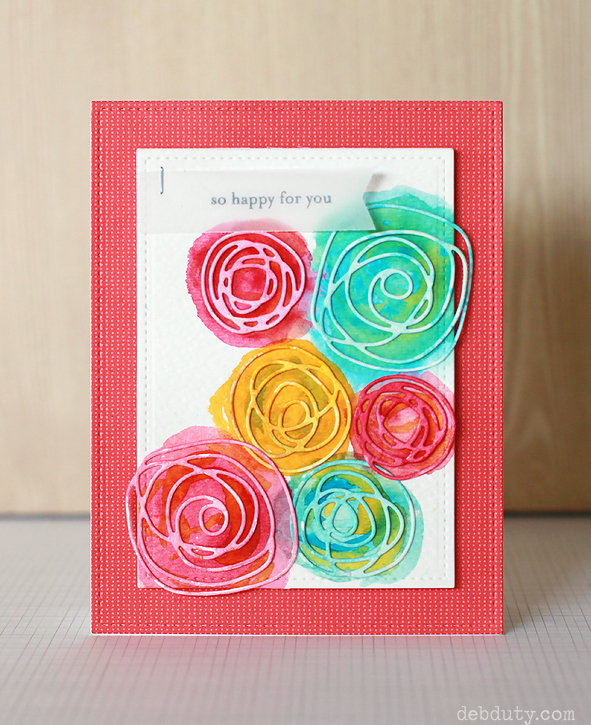 This card includes stamping, copic coloring and lots of die cutting. If you'd like more inspiration with the Critters in the Burbs stamp set, but this time using the cat, check out another card I made here. 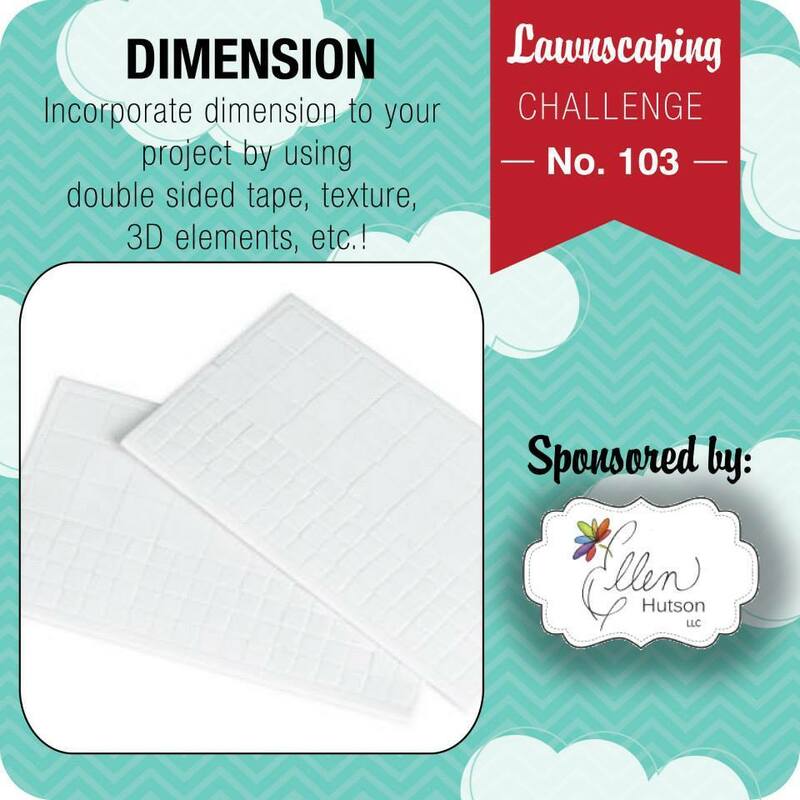 I'm entering my card in the Lawnscaping challenge today where the theme is dimension. 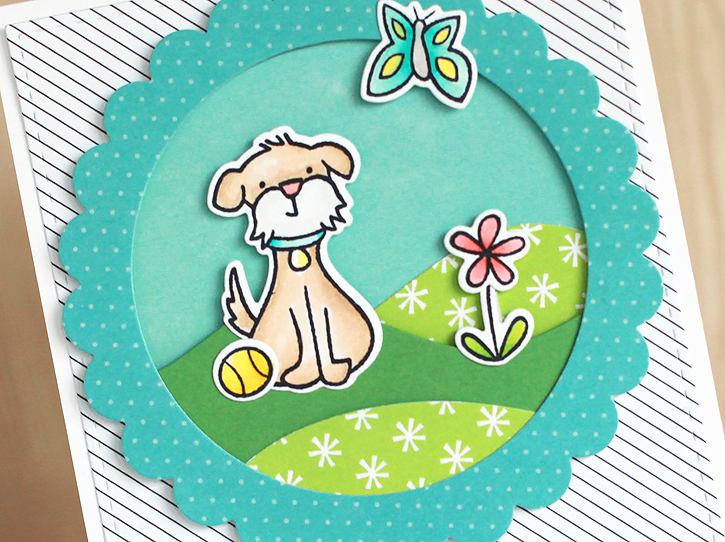 I used foam tape to adhere the circle, the middle layer of grass, the top of the dog and flower, and the sentiment.